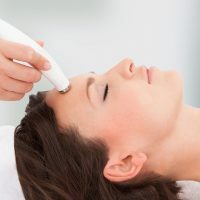 Intense Pulsed Light (IPL) Therapy is an exciting, fairly new procedure that uses intensified light to dramatically reduce a variety of skin imperfections such as age or liver spots, fine wrinkles, facial flushing, rosacea (redness), spider veins or blood vessels on the face, dark circles, freckles, minor sun damage, port wine stains, flat birthmarks, hypopigmentation, tattoos, varicose veins, and even hair removal. IPL is most commonly used on the face, neck, hands and/or chest. 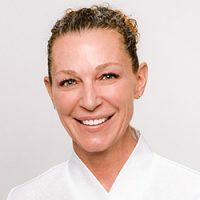 A relatively simple, noninvasive, in-clinic procedure, IPL provides the benefits of a medium depth laser or chemical peel or other types of resurfacing/rejuvenation procedure without the blisters, burns and long recovery time. It works by emitting high-intensity pulses of light (not lasers) that penetrate the skin, promoting a smoother and more uniform appearance. The effects are generally long-lasting because IPL stimulates the body’s own collagen growth and improves facial wrinkles. It accomplishes a lot in a very short time. If you require more than one treatment, they are usually performed every three to four weeks. There is almost no downtime and you may resume your normal activities immediately after an IPL treatment, but you should protect yourself against UV light. Some people may find their skin is slightly pink or red and sometimes mildly swollen directly after treatment, but this generally subsides within a day or two. The results achieved varies from patient to patient but can last more than a year with good after treatment care.